Currahee Vineyards has produced and bottled a limited quantity of a custom sparkling wine to commemorate the sacrifice of Michael Monsoor and the commissioning of the USS MICHAEL MONSOOR. Max: 3 Bottled per customer. From the prehistoric Mound Builders, to the Cherokee, to the 506th Airborne Infantry Regiment running "3 miles up, 3 miles down" - the famous Band of Brothers, Currahee Mountain has witnessed it all. Now Ol' Currahee watches over our sun-kissed vineyards at its feet. We Now Ship to 35 States! 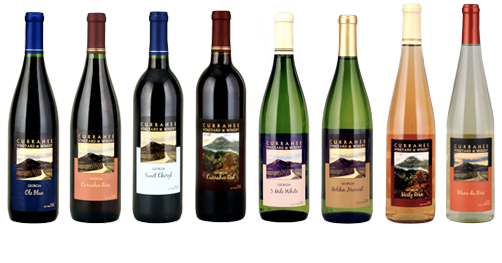 We here at Currahee Vineyards would like to announce that we now are able to ship our wines to 35 states! A big thank you to all of our customers over the past years. From in the state of Georgia, as well as many other states and countries, our customers have been key to our growth and we can not thank everyone enough. It is our hope that now customers from around the United States can now enjoy our wine whenever they like by simply ordering from our website. In order to see which states we are able to ship to, simply go to our website and look at our wine list (Or see list below). Again, thank everyone who has shown us support over the past years and we appreciate each and every customer. 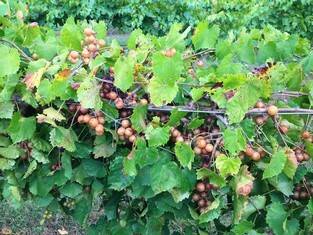 In 2008 Marvin Dunson began to think about using the family farm to produce wines. The family farm, at the base of beautiful Currahee Mountain, had once been an apple orchard owned by Marvin's parents. By 2009 planting had begun that would ultimately lead to award winning wines. Visit us at the Vineyard! Join us at the vineyard for wine tastings, Hours are: Thursday 12:00PM-6:00PM, Friday 12:00PM-6:00PM, Saturday 11:00AM-6:00PM and Sunday 1:00PM to -6:00PM. We have live music from 2:30pm-5:30pm on Sunday's. See our events calendar on this website for specific information Call (706) 768-5383 to schedule a private tasting. The Dunson Family appreciates everyone's support! Our award winning, hand-crafted wines are the perfect accompaniment to any occasion. They've even been known to make more than a few occasions into unforgettable memories. Shop our on-line store and enjoy our unique and delicious wines. 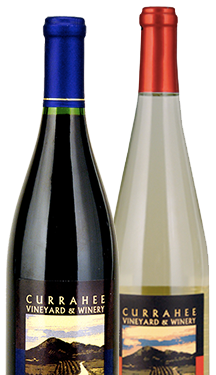 The capability to order our wines from this website is ONLY available for residents of the state of Georgia.  We will be open Thursday, Friday, and Saturday so come to Currahee Vineyards & Winery and enjoy some refreshing wine. We are open Thursday and Friday from 12:00-6:00PM and Saturday from 11:00AM-6:00PM. We hope to see you this weekend for some friendly conversation and, of course, great wine and Slushy's from Currahee Vineyards & Winery. Please go to our Facebook page, Facebook.com/curraheevineyards, to read about the events for this weekend. We hope to see you in the tasting room. Thank you for all of our customers continued support. We will be Closed for Easter.